Comfortable and Personalized Dentistry on Naples Island! would like to schedule an appointment. Long Beach Dentist, Dr. Mark Meckes is dedicated to cosmetic dentistry such as Exams, Teeth Whitening, Veneers and more. 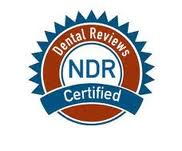 We are looking forward to your visit to our Long Beach, California dental office.